At a special off-week BerkeleyLUG meeting we’ll be meeting at Bobby G’s Pizzeria at 2072 University Ave in Berkeley with members of the Ubuntu California Team for an Ubuntu Global Jam! 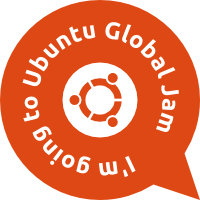 An Ubuntu Global Jam is an opportunity for users to get together to learn how to do testing of the latest Beta 1 ISOs for the next Ubuntu release, learn about bug work, documentation and other ways to get involved with the Ubuntu community and take your first steps. There will be copies of the latest ISOs available for Live testing (without installing anything on your computer) on CD and USB stick. You may RSVP here, but it is not required to attend: http://loco.ubuntu.com/events/team/808/detail/ (you will need a Launchpad.net account).